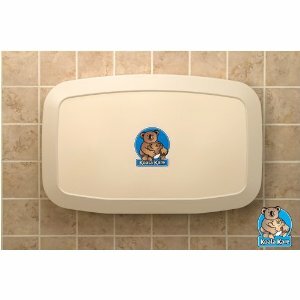 The Koala Kare baby changing station is made with the exclusive Microban® protection and enhanced operator materials that improves sanitation and is embedded in the FDA approved blow molded high-density polyethylene bed surface. 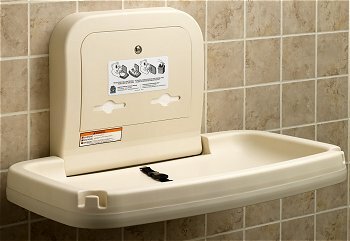 The Koala Kare KB200 baby changing station has reinforced steel-on-steel hinge mechanism and metal mounting chassis with mounting hardware included. The changing station comes with labeled usage instructions and safety messages in four languages. The locking dual cavity liner dispenser holds approximately 50 KB150-99 bed liners. This surface mounted, horizontal design baby changing station complies with ADA requirements when installed properly. The horizontal design allows for easy access.